Rejuvenation's black and gold cone pendants used in Studio McGee's Windsong project. 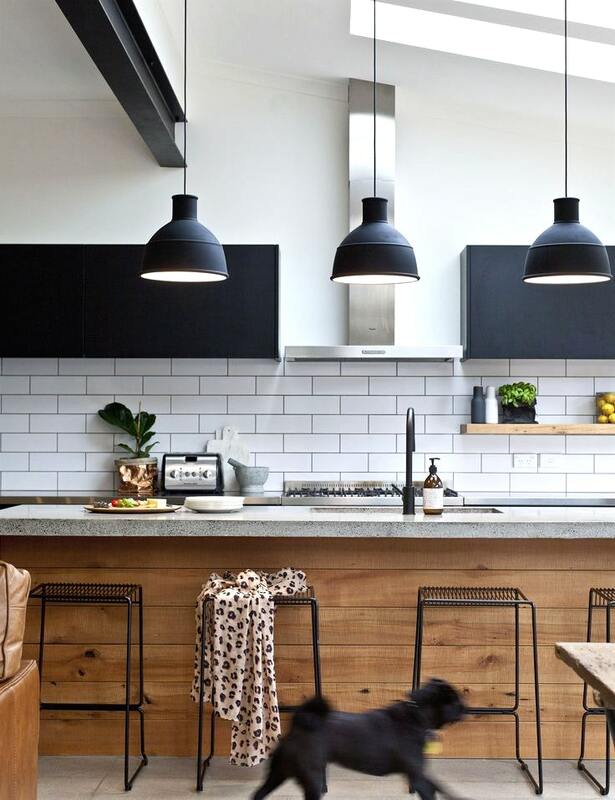 I'm obsessed with these industrial pendant lights hanging over the natural wood kitchen island. These lights aren’t new to the marketplace but they’ve seen a big surge in popularity recently. I have been wanting to incorporate them into a project of mine for the last year or two but I was concerned about mixing the finishes. But, good news, mixing metals will be a big deal this year, so I’m mixing it up! Here's a fresh take on lanterns using framing and filament lightbulbs. As I mentioned, lots of us are crushing on these cool pendants, so many of my choices were on back order – argh! That said, the “out of stock” choices aren’t an option for my project with a completion date in February but could be for yours if you can wait a bit. And happily, many of these pendants come in other colors and finishes so have fun customizing them to fit your space. I absolutely love this cobalt one from Rejuventation! 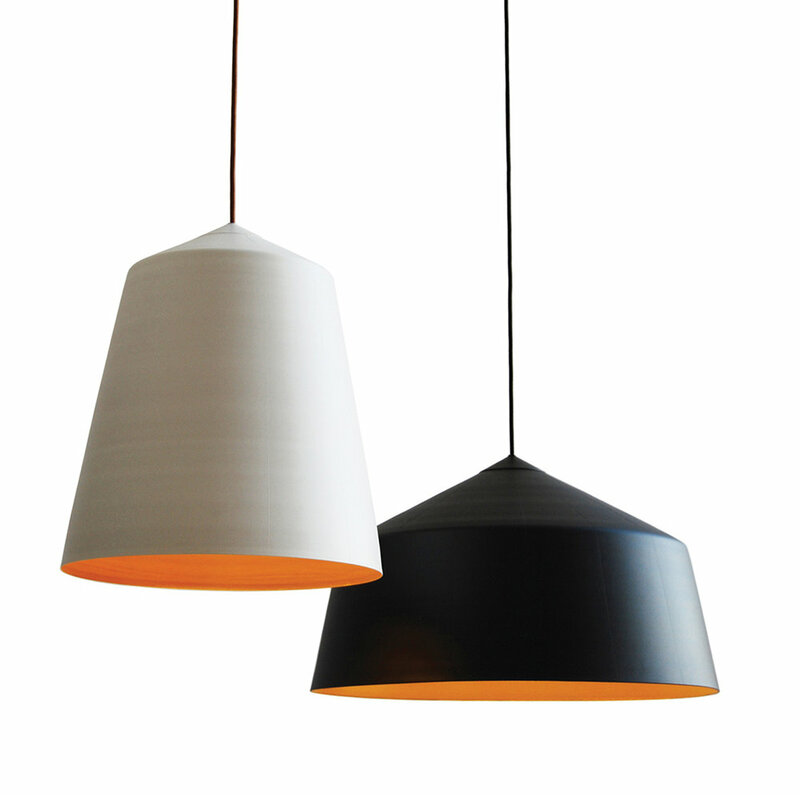 Corinna Warm designed these black and white inspired Circus Pendants for Innermost. What great jewelry for your kitchen, dining room or office. Some may be a bit of a splurge but you’ll love them for years to come! This is a fun way to play with scale and what a great use of color! Tip: Pendant lights that hang over a kitchen island should typically hang about 30” apart from the center of the island and be 30”-36”above your countertop. Take the size of your lights and island into consideration when making your final decision on the measurements – this is just a good rule of thumb!